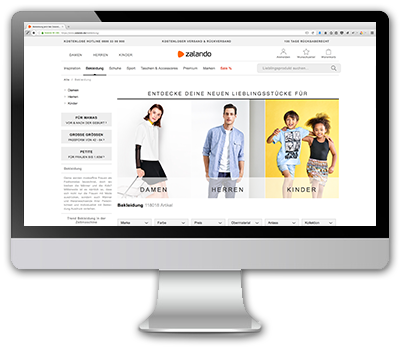 Zalando is Europe’s leading online platform for fashion. It offers customers in 15 European countries a full selection of clothing, shoes and accessories for men, women and children. The selection includes over 1500 international brands and more than 150,000 articles. Zalando’s shops and services are tailored at the local level to meet the unique needs of customers in the various markets. Zalando is developing from a pure online retailer into a platform, and in future it aims to offer intelligent solutions for all of its partners in the world of fashion. As part of its platform strategy, Zalando is testing various services and, in a pilot project, is integrating selected brick-and-mortar merchants into its platform via the gax system. This will give these merchants the opportunity to take over online customer orders from Zalando and dispatch the Zalando package directly from their own stores. Via the gax product exchange, orders from the webshop will be offered specifically to those authorized merchants who carry the ordered brands in their product portfolio. It is totally easy for merchants to participate: They only need to have a computer with Internet access and a printer; and they must register to be linked into the gax system. Zalando customers receive their packages as usual by mail – quickly and reliably. 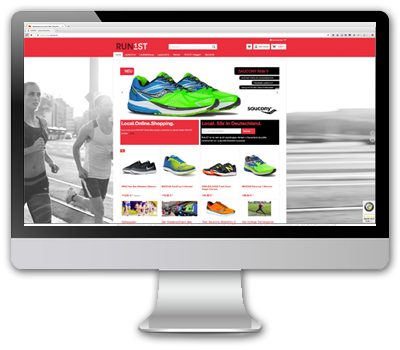 The goal of the RUN1ST retailer portal is to bundle the experience of over 50 participating running shoe stores on a single website. RUN1ST is not simply a sales portal. All of the shoes it offers are tested and reviewed by experienced runners. Many of the retailers contribute their own know-how, making the portal both a shopping platform and an information platform. To minimize the financial and administrative burden on local retailers, sales are handled centrally by the RUN1ST webshop using Shopware software. Then the orders are fulfilled by the participating stores. Orders are managed by the gax-System, so that any of the participating retailers can fulfil incoming orders if it has the desired shoe in stock. In this way the stores can participate in e-commerce without having to concern themselves its technical aspects. Adolf Riedl GmbH & Co. KG has specialized in beachwear for over 60 years. The Bayreuth, Germany company sells its own brands of fashionable beachwear – Sunflair, Olympia, Opera and Sunmarin – on its Internet platform “I love my new bikini”. Each of the brands has its own Internet presence but not its own webshop. Orders that are placed on “I love my new bikini” are fulfilled by local retailers. When an online order is received, it is offered to participating independent retailers via the gaxsys order management system. The first dealer who accepts the order sends the merchandise directly to the consumer. 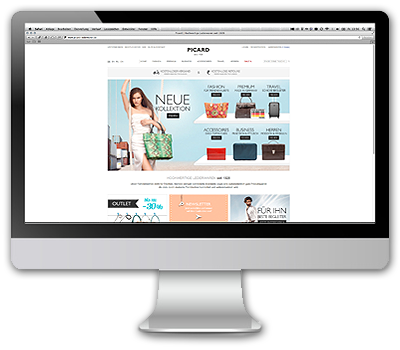 The webshop technology is from Shopware, and payments are processed via the webshop. Däumling Kinderschuhe is a family-run business that has been producing and selling children’s shoes for over 75 years. Its portfolio extends from shoes for tiny tots taking their first steps to sneakers for teens. From its very beginning, the firm’s philosophy has been to use high-quality sustainable materials. It also evaluates its materials from the environmental perspective. Integrating local retailers was the next logical step. 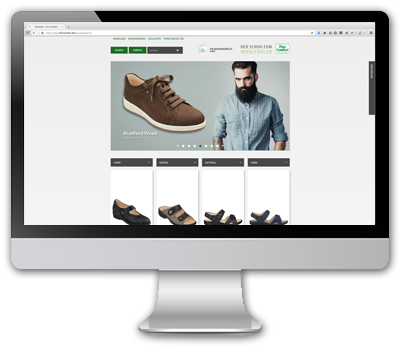 By working with independent local shoe stores, Däumling can supply merchandise to its online customers directly from local businesses. All order processing is handled by the gax-System. With the Däumling customer, some of the retailers who are already participating in the gax-System gain a further distribution channel within the gaxsys solution. The PICARD family company, founded in 1928, relies on high-quality, stylish leather goods. The bags and purses by Picard are characterised by a linear and timeless design. The Hessian bag manufacturer was faced with the task of setting up a modern online shop and, thereby, considering the brick and mortar retailers in the inner cities. gaxsys only needed four months in collaboration with One Commerce GmbH in order to implement an e-commerce solution with the gax-System, which boosts company sales and, in doing so, directly involves the retailer. Online orders are thus delivered quickly and securely to the end consumer by local retailers with short delivery routes. RICOSTA has long sought a solution for going online with their brick and mortar retail partners. 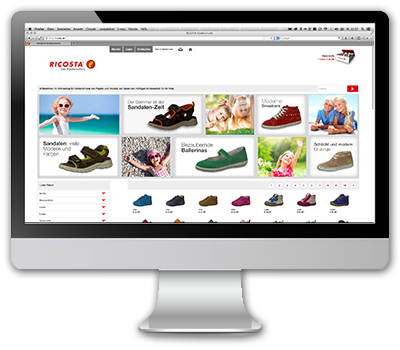 With the gax-System, RICOSTA has found a way to integrate retail into the brand’s own e-business. With many authorised trading partners distributed nationwide, the RICOSTA online shop is well connected with local retailers’ storage facilities. As a result, consumers benefit from short delivery routes and high product availability in the online shop. The online shop was implemented by GAXWEB GmbH. 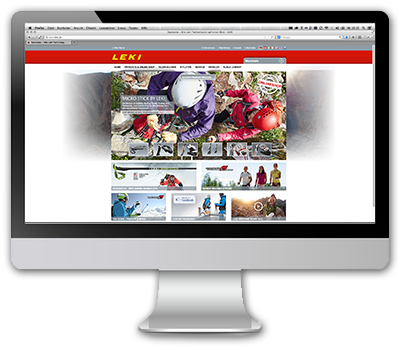 LEKI, global market leaders in poles for skiing, hiking and trekking & glove systems, rely on the networking of their brand’s online shop with brick and mortar retail partners. Thanks to the flexibility of the gax-System, the consumer can expect an online shop with modern design and a smart, decentralised logistics management in the background. The long-established company makes it possible to intelligently link the online shop to the local authorised LEKI retailer via the gax-System. 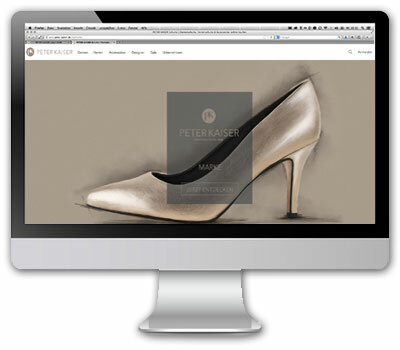 The shoe manufacturer PETER KAISER, located in Pirmasens, Rhineland-Palatinate, is not only the oldest shoe factory in Germany, but it is also where most of the internationally famous shoe brands are produced in Germany. The PETER KAISER products are characterised by high-quality, exclusive materials and a special standard, with an elegant look and unique design. By connecting the new online shop to the gax-System, PETER KAISER is able to create a sustainable point-of-sale integration. With the gax-System, PETER KAISER gradually integrates selected and authorised PETER KAISER retailers into online retail. Thus, in the future, all participants can shop online with a clear conscience and, at the same time, make an active contribution to strengthening local trade. For the past 10 years, Think Schuhwerk GmbH has realised its vision of healthy shoes made with natural materials in a distinctive, stylish look. The Upper Austrian company has managed to create an innovative and creative brand on a global scale. Think! is very proud of its growing global fan base. Think! is always in dialogue with end customers, for therein lies the secret to fulfilling individual demands. With the gax-System, it is now possible for Think! to intelligently interlock its online and offline trade. And this is of bilateral benefit. The Finn Comfort brand looks back on 25 years of experience in the production of healthy, comfortable and durable orthopaedic shoes. Finn Comfort is committed to “Made in Germany” quality – so only high-quality materials are selected for the shoes, which are produced in Germany. In addition, shoes from Finn Comfort are still mainly manufactured by hand and developed together with doctors and leading orthopaedic shoe manufacturers. For example, Finn Comfort produces shoes for diabetics. By using the gax-System, the shoes ordered online from the Finn Comfort brand’s online shop are mostly shipped by local authorised retailers. This ensures secure ordering on the Internet – combined with short delivery routes. When the first snowboards were produced using ash wood in a small workshop at Indigo in 1988, no-one imagined that an international brand would develop from producing single pieces for close friends. The first design awards followed further development of the product range; not least the foundation for the expansion. The idea of creating the perfect ski equipment was an adventurous undertaking aside from economic productivity. But the momentum and spirit of this idea have remained to this day and have helped Indigo to expand their lead in the international market. 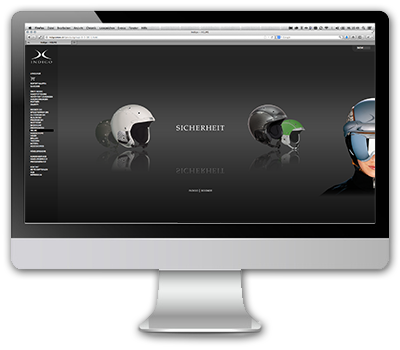 The online shop was developed by GAXWEB GmbH and won the Red Dot Award 2010 in the category of Communications Design. The shop was also nominated for the German Design Prize in 2012. Since its inception in 1977, the Joy Sportswear brand has represented high-quality, sturdy and durable jogging and leisure wear. 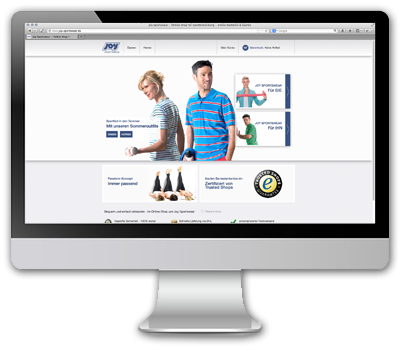 In the Joy Sportswear brand’s online shop, which is linked to authorised local retailers, visitors can now buy the products directly online from the company website. Selected materials and excellent craftsmanship provide the highest standards of quality and best wearing comfort, and give the fashion of Joy Sportswear a distinct profile: contemporary yet timeless. The TAO® Technical Wear brand has represented highly-functional sports clothing since 1997 and is one of the leading premium sports brands in the running sector for textiles. TAO® Technical Wear always focuses on the athlete’s requirements and, from its headquarters in Ottensoos, implements innovative concepts and highly technological products which support athletes in the best possible way during their training. Consequently, the products are characterised by high functionality, good wearing comfort and high quality. TAO® Technical Wear consistently focuses on sustainable online trade and integrates authorised retailers in the fulfilment of online orders via the gax-System.